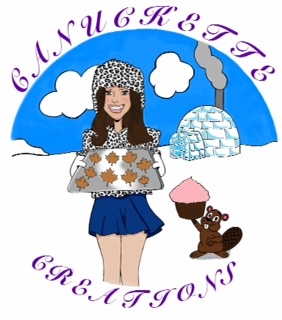 Canuckette Creations: For the Little Kid In Me! I hope everyone is enjoying their Friday, for all the working people you've earned it! I am off back to Canadia tomorrow, normally I am completely distraught having to leave Nathan. Not this time though, well maybe still a bit lol who am I kidding, only because I am getting ready to move :) I still have a little packing to do (bedroom only), and I am doing my final walk through now that the apartment is completely finished. I am one excited and happy girl, I've never lived in a brand new apartment so I am pumped!! Since it's Friday and my last night with Nathan I figured a short post will be okay, don't worry there is still a sweet treat in store for y'all. Today's delicious treat is brought to you on behalf of Kellogg's, and their delicious cereal Rice Crispies. I bet y'all can figure out what we're making, but first let's go down memory lane for some history on my Rice Crispy story. When I was small and even elementary school age, I ate almost all of my breakfasts with my grandparents. Normally I would eat eggs and bacon, but some times I would eat a bowl of rice crispies. However, when my grandmother had her back turned I would put a whole lot of sugar on top. I mean a LOT, lol so when I'd scrape the bottom of the bowl I would get a spoonful of sugar :) Of course my grandma would make rice crispy treats every once in a while, and I hadn't had them in years. That is until a few months ago when Nathan asked me to make him some, and I am making them monthly now lol. This is obviously not my recipe but I add a little more of some things. 1) Melt the butter in a large pot over low heat. 2) Once the butter is melted, add the marshmallows until completely melted. 3) Remove from heat and add the rice crispies, mixing until blended. 4) Grease a baking dish and pour the mixture in, pressing evenly flat with wax paper. 5) Allow to cool completely before cutting. Store in an air tight container. See, wasn't that simple, easy, and delicious? You can't beat cereal treats, they are your guide down memory lane to childhood. The are many ways you can dress these bad boys up, from adding chocolate (chips or on top), nuts, food coloring, or even cutting them into fun shapes. I'm sure you could even use those colored marshmallows for a cool little twist.